When it comes to being a business leader in today’s world, there are more tools than ever before that can help you be better and get better results. However, there are also numerous challenges. Luckily, modern technology is there to help. At Technalink, we’ve always believed that using the principals of spiritual management combined with the latest technologies can create a blueprint that will lead your business to success in a big way. But just why should you consider using technology? Can it really help you with spiritual management efforts? There are plenty of questions worth answering here – and looking at the benefits of modern technology can help you dramatically. Here are some of the biggest advantages. • Easier To Learn New Skills – Learning new skills and about new tools or opportunities is important. Modern technology lets business leaders do just that, without having to put forth much effort at all. You can use the internet to research new ideas and new tools that can make your life easier and help you grow your business in a huge way. • Better Branding – Obviously, marketing your business is important. When you use things like the internet, it’s possible to build your brand and spread the word about your company. • Easier To Connect With Your Employees – Employees deserve to know that they can connect with their boss and that they’re appreciated. When you use technology, you can use things like Twitter, Facebook, Google Hangouts, and more to connect with your team and show them that you care -and to introduce them to new tools or resources that allow you to be more effective at spiritual management. • More Opportunities To Be More Spiritual – Technology also helps you automate a huge amount of the work that happens in your workplace, and makes it faster and easier to complete the basic steps that you need to take to be a more spiritual leader. When you have more free time thanks to technology, it’s possible to grow and evolve into a better leader. These are just some of the benefits that modern technology can offer to your business and to you as a leader. 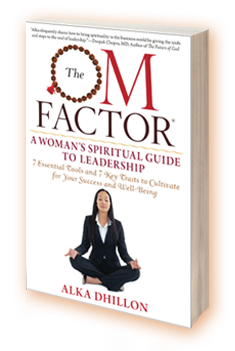 Spiritual management is important for being a better leader and for ensuring that your company moves into the future. There are plenty of tools and opportunities out there that can help, and when you master using them you’ll be able to enjoy the benefits above and more.